I recently suggested to Paul Bergen from the TobaccoHarmReduction.org programme that he and other scientists write an open letter to the UK government currently considering making e-cigarettes a medicine. The FDA tested the electronic cigarette last year. ‘Very low levels’ – that’s what the scientists said, but that’s a quote that was omitted in the FDA press release. In fact, they didn’t report any levels, which was surprising as they measured them in parts per trillion. The FDA couldn’t be bothered to test the vapour of the cigarettes. They left that to us. Despite the fact that the FDA study proved beyond a doubt that the NJOY electronic cigarette was far safer than regular cigarettes, press misinterpretation of the FDA study (which included one newspaper stating that the e-cigarette contained 40 times as much nicotine as regular cigarettes! )* lead to over 100,000 dollars being spent on independent lab tests of the electronic cigarette. The tests proved that the NJOY e-cg va pour has one tobacco specific nitrosamine in its vapour – and that one is non-toxic. Bear in mind that the FDA conducted this study and released the press release while being sued by two e-cigarette companies. And they lost the case! Together, both Smoking Everywhere and NJOY have already sold hundreds of thousands of electronic cigarettes, yet FDA cites no evidence that those electronic cigarettes have endangered anyone. Nor has FDA cited any evidence that electronic cigarettes are any more an immediate threat to public health and safety than traditional cigarettes, which are readily available to the public. 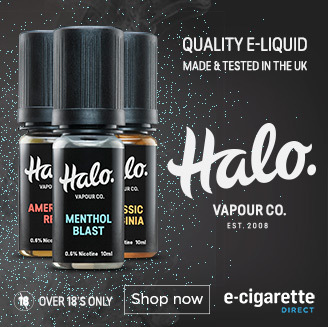 We know from work done by the Food and Drug Administration (FDA) in the United States that laboratory analyses of e-cigarette samples were found to contain carcinogens and toxic chemicals, against which general product safety legislation could not protect. Handing Over Control to Big Pharm? Can scientists and bloggers be blamed for being suspicious? After all, pharmaceutical companies already bankroll the organisations that have been campaigning against the electronic cigarette. And the amount the MHRA wants from manufacturers is suspiciously large – a cool 1.4 million to be precise. Enough to put off a few e-cigarette companies, but not enough to give a seconds thought to big pharm. Are we being too suspicious? I hope so! *When we pointed this out in an open letter, ASH US released a press release urging newspaper to continue to lie. Check it out for yourself: If you haven’t already guessed, we retail the Njoy electronic cigarette tested by the FDA! I would love to see where this all leads to in a year from now. Somehow, someway the Government will have their hands in it. Thank you for the info, this is definately going to help. I wonder what would happen if we took the MHRA to court over the electronic cigarette fiasco. We would file suit claiming that if ecigs are banned,then All cigarettes should also be banned.If howether the judge rules that ecigs are much safer than regular cigarettes,(1400 times less harmful than Marlboro),then maybe the next law suit would be to ban regular tobacco,see how the big Tobacco giants will react to that!! The MHRA claim that there is seperate legislation over tobacco. However, this is one of the reasons that similar moves by the FDA have been thrown out. There is also the possibility that caffeine would then have to be regulated as a medicine! When are all electronic cigarette companies going to band together as an industry and fight this in court. The MHRA proposal is nothing more than a thinly disguised attempt to eliminate the competition for one of it`s big paymasters, Johnson & Johnson. Tony, I suspect this may well end up challenged legally. The way the MHRA have handled the consultation process is a disgrace and is bound to be challenged, but that in itself would only lead to a temporary solution. We are committed to working with whoever it takes to getting this approved but the MHRA has not proved easy to work with! Who, in their right minds, would argue against e-cigarettes? 1) Governments for their tax revenue, second only to vat. 2) Tobacco manufacturers, particularly as there are no benefits whatsoever other than nicotine, which can be used separately and safely. Nicotine, of course, is also used in medicines. E-cigarettes would empty 30% of hospital beds, constantly filled with tobacco connected health problems.